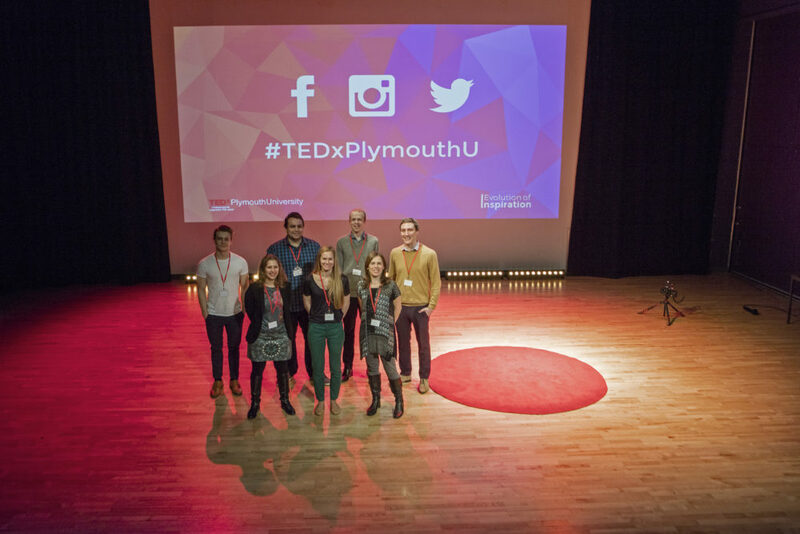 What Was it Like to Organise TEDxPlymouthUniversity? Formation Zone was delighted to sponsor TEDxPlymouthUniversity. Here John Petrie, from the FZ team, reflects on what it was like to be one of the lead organisers of a TEDx event. It has taken me a while to reach the point of reflection, as it was only at the beginning of this week – having had to deliver a best man speech just two days after TEDx – that I started to relax. It turns out that organising an event with so many variables, and with a brand held in such high esteem, can be the tiniest bit stressful. Apparently, my shoulder muscles had turned into solid blocks of pure stress and it was quite a relief when the tension finally started to ease. Coincidentally, this happened fairly soon after a few soothing glasses of wine. Who would have thought? But, I’m pleased to say, it wasn’t all about high levels of stress and worry; organising a TEDx event has been one the most interesting and rewarding experiences I have ever had. Apart from the fact that the evening went exactly to plan (it was never in doubt, honest), it has been thoroughly enjoyable to work with a group of people so passionate about delivering a great event. Judging by the atmosphere in the pub after the show, and the messages exchanged since, both our team and the speakers have made connections that will last. We’ve all learned a few things along the way that will help us improve for next time, but all in all I am very proud of what our team achieved. From the start, with the audience clearly enjoying the pre-show VR, games and Theremin set up for their amusement, right through to the thunderous applause for our final speaker, everyone seemed to be having a good time. Personal stories of dementia and discrimination moved us, tales of the sea and the future of cities inspired us, the history of the undead infected us, anthropomorphic robots scared us and an amusing take on TED talks sent us into fits of laughter but, most importantly of all, we finished bang on time. This piece was originally posted on the TEDxPlymouthUniversity website. You can see this piece and more from the organising team by clicking here.